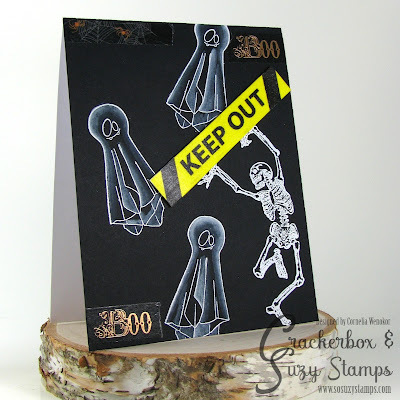 I used some of the new release stamps for my card - the Ghost Vamp. I stamped the ghost with Versamark and heat embossed it. Added the Dancing Skeleton. Colored in the ghosts with white acrylic paint. 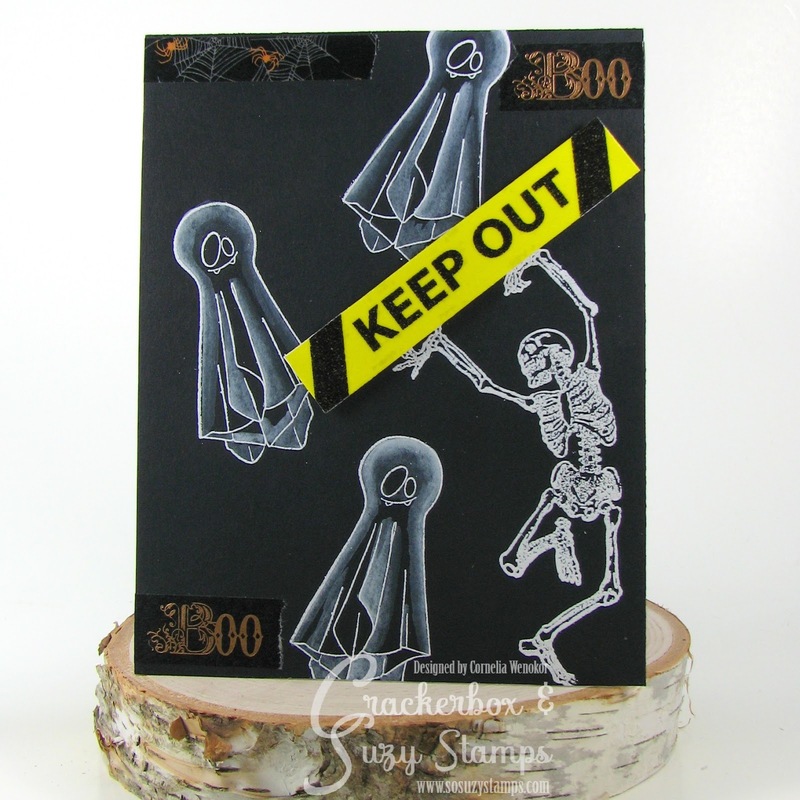 Added Washi tape - the "keep out" and the "Boo". Diese Karte sieht aber wirklich schrecklich gruselig aus!!! Ist Dir sehr gut gelungen!!! Loved this card so much, had to got shopping. Those ghosts look so eerie in the way you painted them. Spooky, Cornelia. 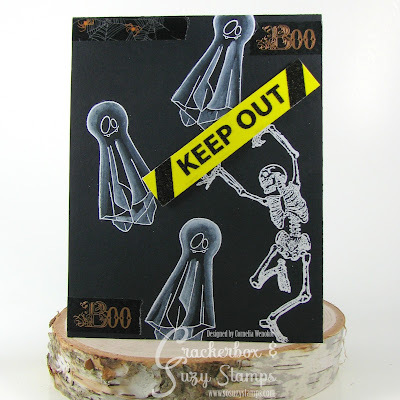 The white paint work great on the ghosts and I love that 'keep out' washi. I love your spooky Halloween card. Fun and such a wonderful layout. 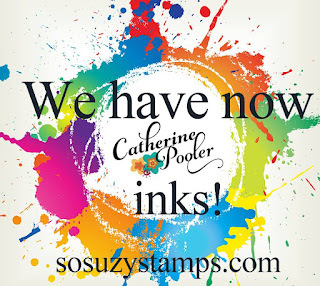 Great stamps too x.
so much fun...love all those ghosts!